Harvard professor, Michael Porter has been one of the most influential figures in strategic management research over the last three decades. He infused a rigorous theoretical framework of industrial organization economics with the then still embryonic field of strategic management and elevated it to its current status as an academic discipline. Porter's outstanding career is also characterized by its cross-disciplinary nature. Following his most important work on strategic management, he then made a leap to the policy side and dealt with a completely different set of analytical units. More recently he has made a foray into inner city development, environmental regulations, and health care services. Throughout these explorations Porter has maintained his integrative approach, seeking a road that links management case studies and the general model building of mainstream economics. 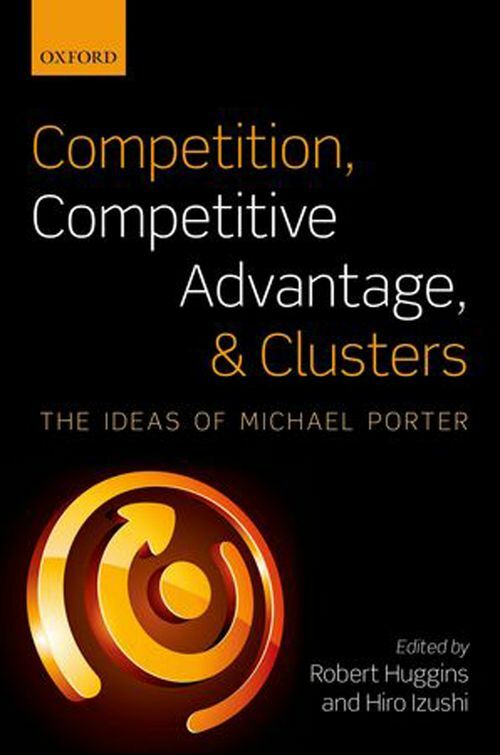 With expert contributors from a range of disciplines including strategic management, economic development, economic geography, and planning, this book assesses the contribution Michael Porter has made to these respective disciplines. It clarifies the sources of tension and controversy relating to all the major strands of Porter's work, and provides academics, students, and practitioners with a critical guide for the application of Porter's models. The book highlights that while many of the criticisms of Porter's ideas are valid, they are almost an inevitable outcome for a scholar who has sought to build bridges across wide disciplinary valleys. His work has provided others with a set of frameworks to explore in more depth the nature of competition, competitive advantage, and clusters from a range of vantage points. Professor Robert Huggins is Professor of Economic Geography at Cardiff University and Director of its Centre for Advanced Studies. Prior to this he held a chair at the University of Wales Institute, Cardiff (2008-2011), and a Senior Lectureship at the University of Sheffield (2005-2008). He also has private sector experience managing a research and management consultancy. He is the originator of the European Competitiveness Index, the UK Competitiveness Index and the co-founder - along with Hiro Izushi - of the World Knowledge Competitiveness Index. He is the author of two previous books - The Business of Networks (2000) and Competing for Knowledge (2007). ; Hiro Izushi, PhD (University of California at Berkeley), is Senior Lecturer in Innovation at Economics and Strategy Group, Aston Business School, and Co-Director of the Centre for International Competitiveness. He is a member of International House of Japan, having been awarded Nitobe Fellowship for Japanese Social Scientists. He is the co-author of Competing for Knowledge (2007) with Robert Huggins.